nTopology creates engineering solutions using advanced computational methods for designing high performance products. We help engineers make the most efficient and effective parts possible. nTopology builds the most powerful and flexible solutions for design engineering. 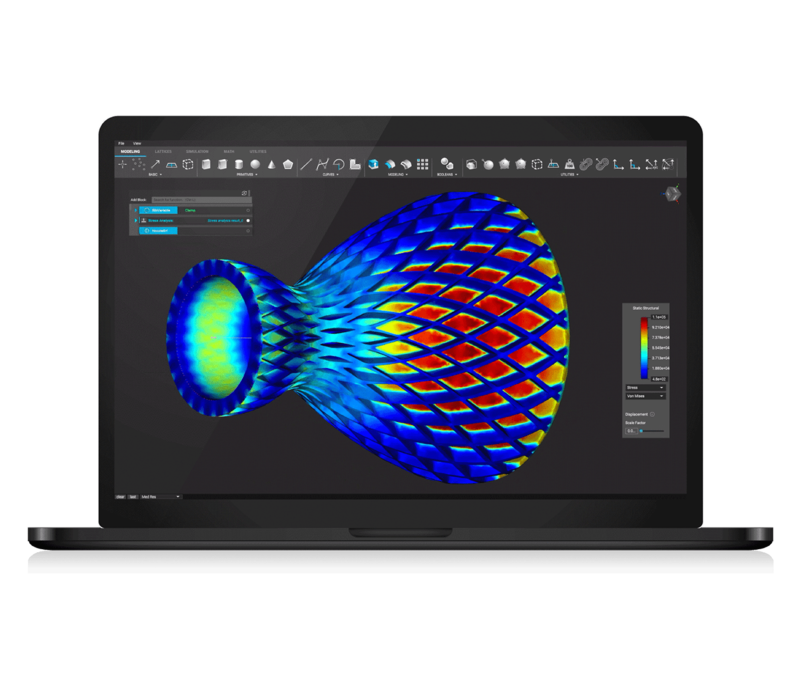 Whether you’re creating performative complex geometry such as lattices, designing parts with simulation in the design loop, or building custom workflows for your team, nTop’s robust software platform streamlines the entire design engineering process. Leverage simulation-driven design while maintaining manufacturing constraints in a single environment. Our breakthrough implicit modeling technology ensures that modeling operations never create bottlenecks in the design workflow. Collaborate across engineering teams by capturing and sharing high-value, proven engineering workflows. nTopology is a powerful design solution that simultaneously considers product function, performance, geometry, and manufacturing techniques. This is accomplished through computational processes, delivering highly specific control over advanced mechanical designs. Interested in learning whether nTopology Platform can help your company get the most out of its high-performance parts? Connect with our engineering team or create an nTop Account to learn more.